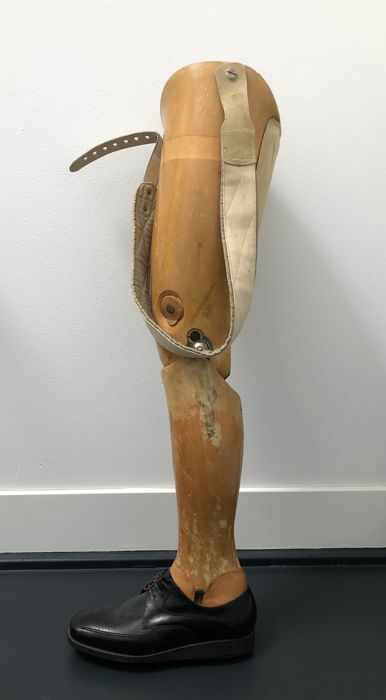 Unique antique wooden prosthetic leg Beautifully finished model with hinged steel knee joint. 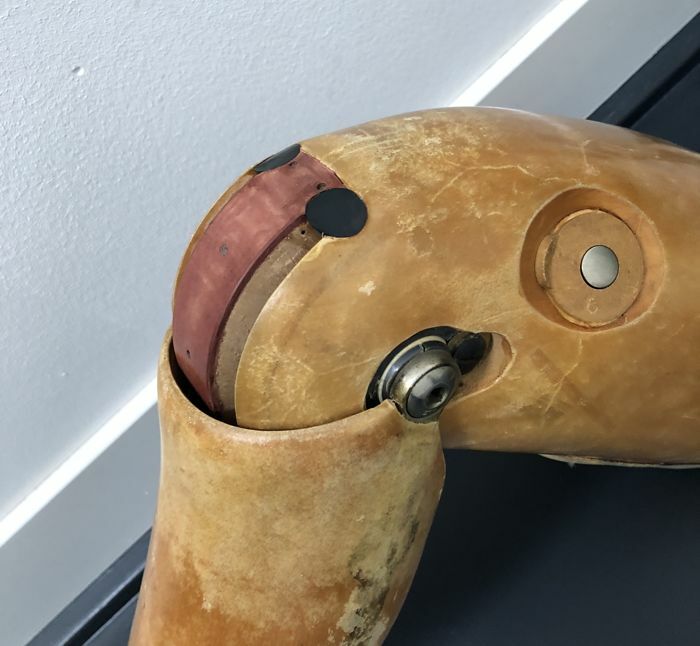 The prosthesis is 80 cm high and functions perfectly, it is complete with leather straps. 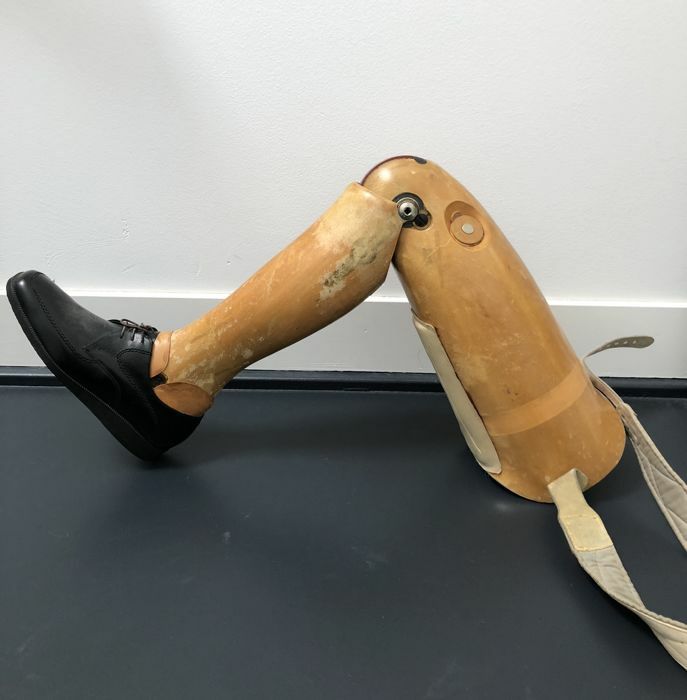 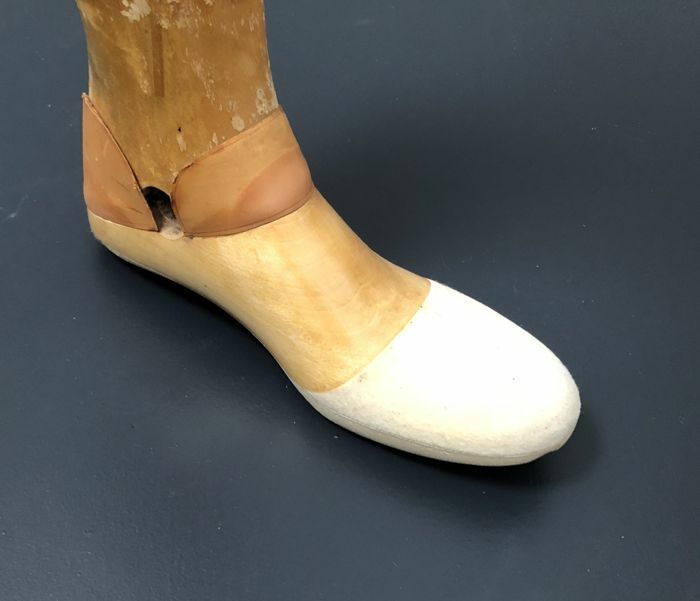 Because this prosthetic leg’s beautiful finish it is a wonderful conversational piece and an asset in any modern interior. 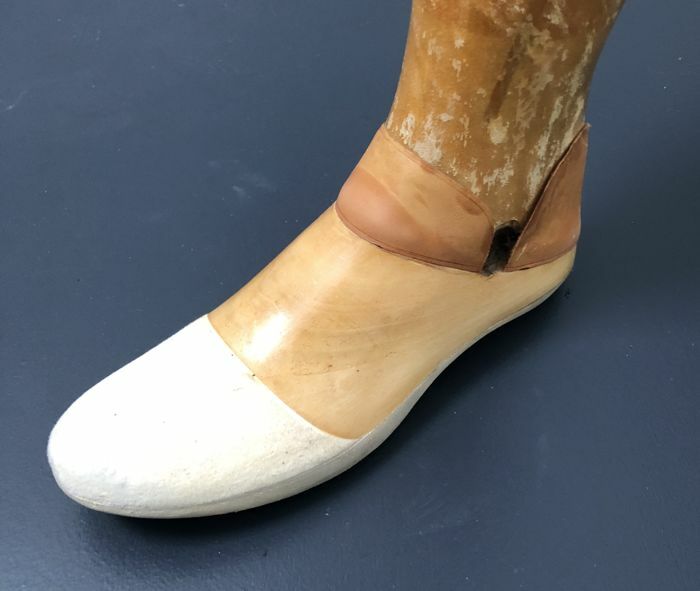 Can be picked up or shipped by registered mail. 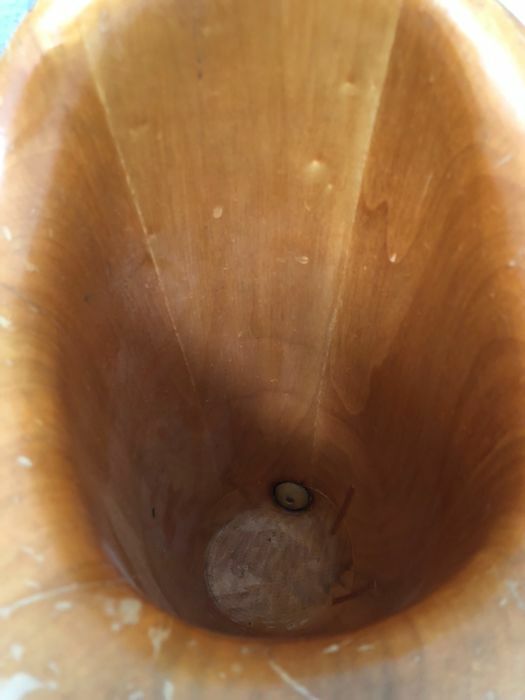 You can pick up this lot from the seller: Soest (UT), Netherlands.